Temperatures below 32 degrees over a sustained period of time are cold enough to freeze your trees’ buds/blossoms, fruit, leaves, and/or twigs. Citrus, Jacaranda, Catalpa, Oleander, Eugenia, and other tropical/sub-tropical plants are most likely to sustain damage. Tender, new growth is also easily injured by freezing temperatures. Cover susceptible trees and plants with burlap, sheets, tarps, etc., that extend to the ground to trap in the earth’s accumulated warmth. Use a frame or stakes to minimize contact between the cover and the foliage. Bring potted plants and trees to more protected locations. Moist soil will absorb more solar radiation than dry soil, and will re-radiate heat during the night. 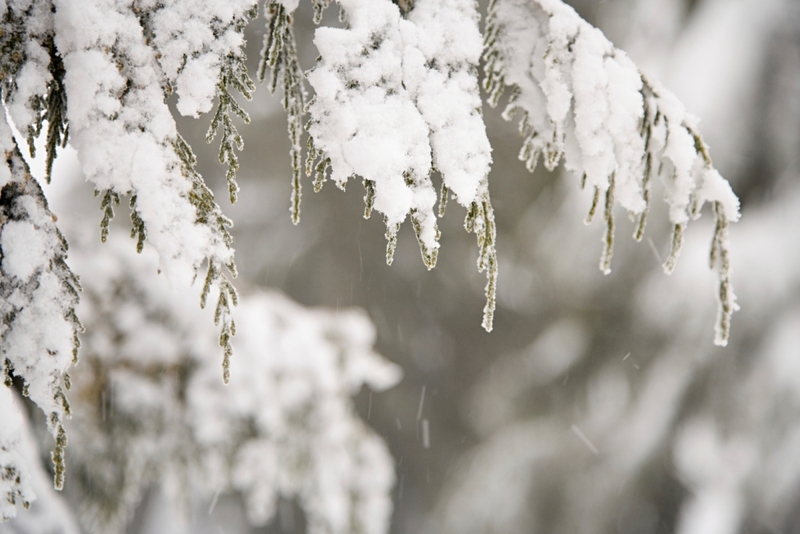 If you have a large tree that needs protection, running sprinklers at the coldest time of the day (usually between 4:00AM and 6:00AM) can give it a slight edge. The strategy makes use of latent heat released when water changes from liquid to a solid. When ice crystals form on the leaf surface they draw moisture from the leaf tissue. The damage from this dehydration will be less severe if the plant is not already drought-stressed. Remove turf/weeds from under trees’ canopies—bare soil absorbs and reflects heat best. Wood chip mulch prevents soil moisture loss and insulates roots. Plant frost-sensitive plants near sources of reflective heat (like buildings, walls, etc). Do not prune anything off immediately. Wait to see what sprouts in the spring; the damage is often not nearly as bad as it initially looks, and new growth may come out of tissue that you thought was dead. If dieback is severe enough and your tree has lost “shade,” protect the now-unshaded portions of the trunk/branches from the sun, with a physical cover or with whitewash (1:1 ratio of latex paint and water). Remove frosted/mushy fruit while still salvageable, for snacking on or juicing. Sky Realty Inc is a registered service provider with the US Copyright Office.